Harrison Talent Acquisition Solutions enable you to hire the right talent – and do it quickly. With a library of 6500 Job Success Formulas it is easy to tailor them for your organisation’s assessment needs. Job analysis enables you to automatically generate custom assessments using your unique job specific criteria while at the same time creating a clear consensus with other hiring stakeholders. Automatically generated pre-employment screening targets your specific requirements for qualification. It measures eligibility factors such as education, experience and skills producing an overall “eligibility score” that saves up to 80% administration time by ranking the applicants according to eligibility. It eliminates the need to review resumes except for qualified candidates. 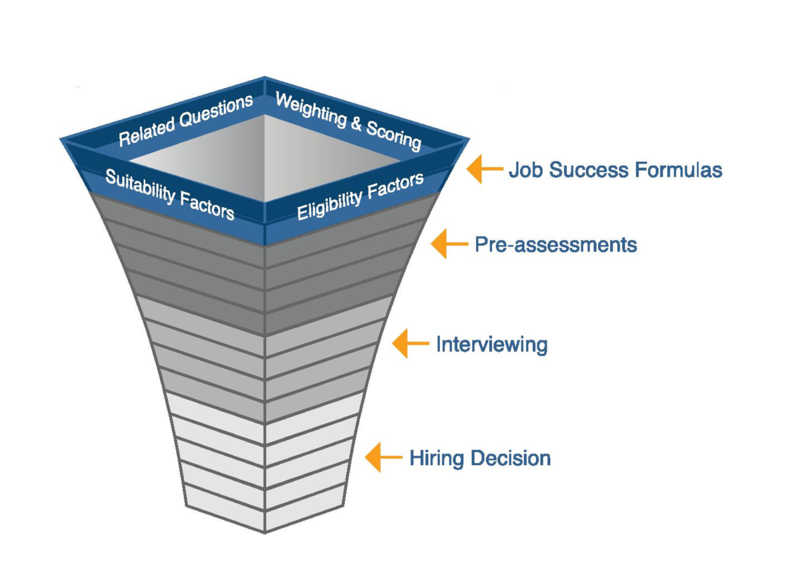 In addition to making deeply informed recruiting and hiring decisions, employers utilizing Harrison’s Talent Acquisition Solutions reduce time to hire and minimize assessment costs. Most importantly, the system provides an overall score as a guideline for each step in the recruitment process ensuring the best candidates are hired.